If you are a WordPress enthusiast who wants to develop and customize your own responsive WordPress theme, then this book is for you. This book will provide enough information for you even if you want to start your own theme development business. The book starts with an introduction to the Responsive Web Design concepts and techniques and discusses each technique in detail. Then, it explains how to set up a local WordPress environment and also helps you understand the structure of a WordPress theme. The book then moves on to cover how to deal with headers as well as navigation and search, followed by a detailed explanation of responsive widgets in WordPress. Finally, you will learn how to create responsive comments in WordPress and also have a look at static pages and index templates. 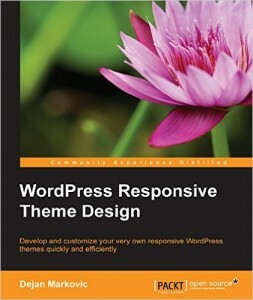 By the end of this book, you will have a better understanding of responsive theme development in WordPress. Some experience with WordPress, PHP, and CSS is expected.